Exploring tide pools with your kids is a great way to show them amazing marine creatures up close. In the San Juan Islands, tide pools are at nearly every beach and only require a little scrambling. Where can I find nearby tide pools? Tide pools are plentiful in any rocky out cropping, most of the pebble and sand beaches in the islands have these outcroppings at either end. The tide pools vary in size and depth but even the smallest pool can contains such wonders as bright green anemones and tiny purple crabs. It’s very important to protect this delicate ecosystem by always replacing everything just as you found it. Be sure to turn rocks back over and put seaweed back over the water to keep the creatures safe and cool. This small park at the south end of Lopez Island has great pools but only when the tide is very low so check your tide chart. The large rock that is right off shore is connected to the beach by a sandbar when the tide is low. 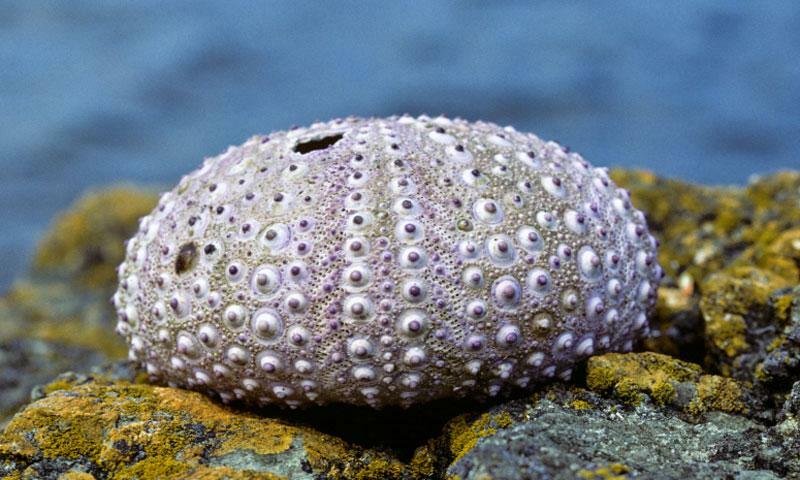 At that time the parts of the rock that are usually covered by water will be uncovered with all their marine wonders. See the gigantic colorful starfish and look under overhangs for the bright red giant anemones. Location: Agate Beach is on the south end of Lopez Island. From the village head east on Hummel Lake Road, then take a right on Center Road. This will turn into Mud Bay Road, take another right on Mackaye Harbor Road and stay on it until you see the Beach on your right. Services: The small park has a few picnic tables with great views west and an outhouse. The rocky shoreline at the southern tip of San Juan Island is perfect for tide pooling. Check under loose rocks for tiny brown eels and miniature sucker fish. The nearby beach and picnic area are a great place to break for lunch. Location: To get here from downtown Friday Harbor take Mullis Road until it turns into Cattle Point Road and stay on it till you reach the point. Season: This Park is open for daytime use all year long. Services: There is a picnic area and a toilet here. Location: These parks are scattered among the larger islands, many to the northeast of Orcas Island. Many have interesting rocky shores, particularly Sucia Island. Season: The islands are open for daytime use and camping all year long. They can get quite busy in the summer but this is also when the lowest tides happen in the day, for the best tide pooling. Cost: There are camping and mooring fees at these parks, they vary seasonally. Services: The islands have various services mostly just picnic areas, firepits and toilets. Some of the larger ones, like Sucia, have drinking water during the summer. Phone: The Washington State Information Line can help you with questions or reservations. (360) 902-8844.